Originally a section of the Groot Constantia estate (historically the wine supplier to European nobility) and established by Simon van der Stel in the late 1600’s, the farm has been in the hands of the Mylrea family since 1984. Given the achievements here in just over a decade, it’s hard to imagine that Eagles’ Nest was only started as recently as 2000 – and pretty much by default – after a massive fire destroyed both the native fynbos and the commercially planted pine forests. It was this ‘disaster’ which opened up the opportunity to develop the site as a wine estate. From the start, the viticulture and winemaking practices have been overseen by Kevin Watt and Cape legend, Martin Meinert, who made the first vintage in his Devon Valley cellar in 2005. Today, Martin’s role is becoming less pivotal as young winemaker Stuart Botha (who has been on the estate since 2007) continues to take the lead. Whilst Sauvignon Blanc remains Constantia’s signature variety, the aspect of the land means there is none planted on the farm. These are some of the steepest slopes in agricultural use in the Cape, with the vineyards located at between 150 and 400 metres above sea level, yet are located only ten kilometres from False Bay and in the path of the summer trade winds. 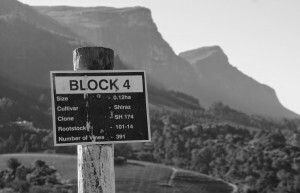 With vineyards facing north and east, as well as enjoying the only west-orientated slope in Constantia, the farm is planted mostly to red cultivars, notably the four Bordeaux varieties, plus Shiraz. The 12 hectares that are planted are dedicated to producing two red wines: a Shiraz and one of the Cape’s few notable Merlots. The emphasis on the two reds is to raise them both in first to third-fill oak for around 18 months and allow the wines the same period in bottle before release. The only white is Viognier, planted at the insistence of Executive Director, Peter Stewart, who loves the variety. Typically, the grapes are the last on the farm to be harvested, with the resulting wine being raised in third-fill barrels for six months and then bottled and released within the same year as the vintage. In retrospect, the decision to establish it on the farm was inspired, as I challenge anyone to find a better example of the variety produced in the Southern Hemisphere. It’s s perennial British Airways favourite – in First Class, of course.